These days, all that remains of what was the Dover Patent Oil Mills, Limekiln Street, are caves in the cliffs below Western Heights. At one time, the Oil Mills were Dover’s main non-maritime industry. Limekiln Street, where they were situated, got its name from the chalk hewn from the cliffs that was burnt to make quicklime. It was the lime-makers who originally created the caves that, by the time this story starts, were used for smuggling. 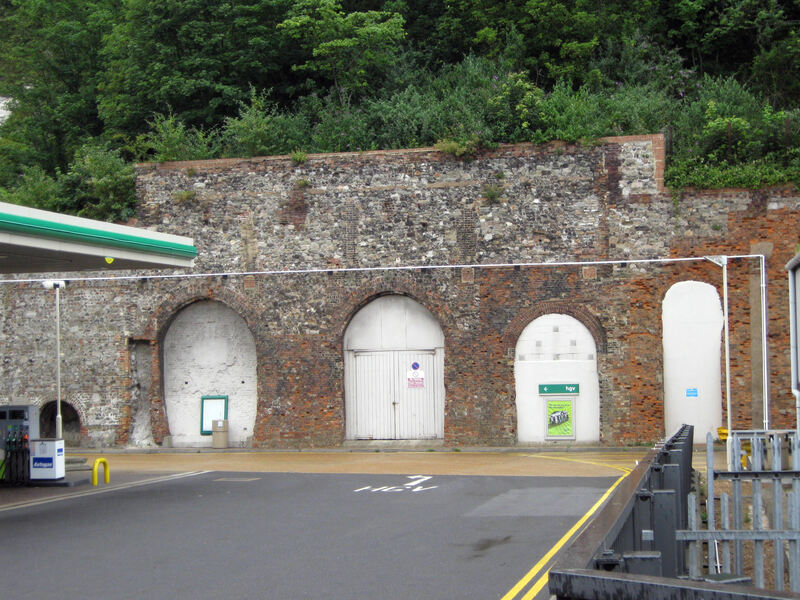 During the Napoleonic Wars (1793 to 1815), Dover was a major victualling station for the army and navy so Peter Becker set up a steam corn mill in front of the caves. It was operated by only the second steam engine to be used in Dover and therefore a wonder of technology. The engine was powered by a specially built aquifer, the water being provided by the West Dover Waterworks, owned by Joseph Walker who was related to James Walker – the managing partner of Messrs Walker’s Dolphin Lane brewery. It was James Walker who, in 1808, had installed the first steam engine in Dover in his brewery. However, the enterprise was not a success and Becker defaulted on his mortgage. In June 1812, the mill was put up for auction at the Royal Oak Inn, Dover, by solicitors, Shipdem and Gravener. The mill was described as having spacious storehouses, caves and other suitable appendages as well as being close to the harbour. This, according to the advert, ‘affords great facility of shipping and unshipping goods at a very trifling expense of carriage.’ The mill had three pair of stones and wheat machinery. The solicitors, Shipdem and Gravener, had their office in Snargate Street and John Shipdem was Dover’s Town Clerk and Dover Harbour Board Register. He lived in the Round House, the site of the once iconic Dover Stage coach-hotel. The mill was bought by the Fector Bank and rented to the Pilcher corn milling family. Following the Battle of Waterloo, which brought the Napoleonic Wars to an end, Dover’s corn milling industry went into sharp decline. Nonetheless, in 1816, the mill was bought by Joseph Walker, who converted it into the extraction of oil from seeds to make lighting fuel and oilcake for horses and cattle. At the time there was already several oil mills along the River Dour. The main seed used for oil refining was imported cottonseed from the Americas. 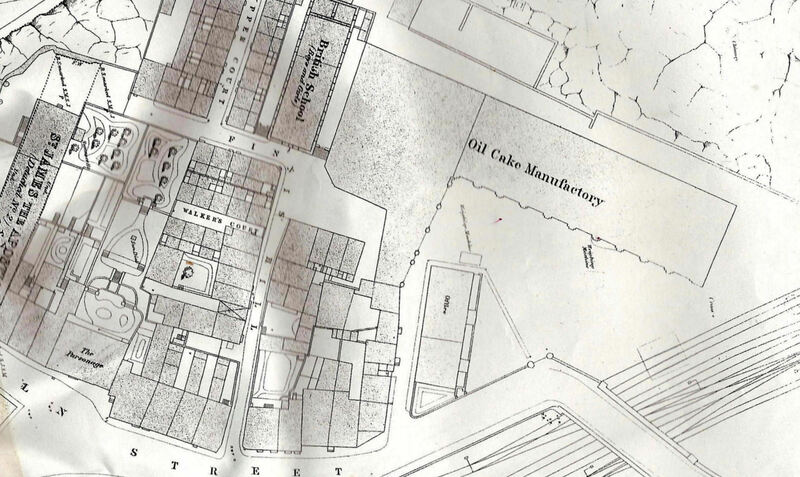 Robert Walker succeeded Joseph and the business proved profitable and he expanded the works westwards along Limekiln Street to Finnis Hill. As a man of means Robert had social standing and on 15 June 1837, at Eastry, his daughter, Elizabeth Mozier Walker (b1806), married solicitor and wealthy widow, Edward Knocker. He was the son of William Knocker who had been Dover’s Mayor four times between 1797 and 1832.
makers caves behind were also utilised. 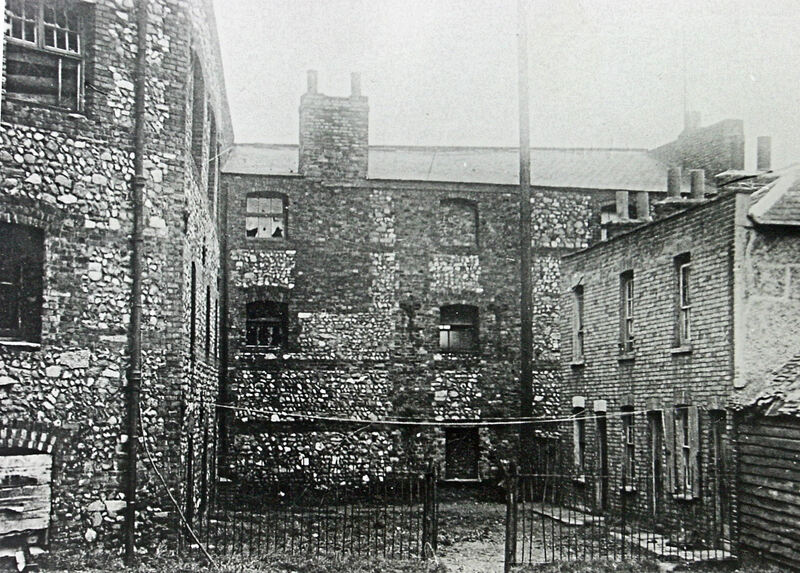 Although the mills were hit by the economic depression of the 1840s, Robert managed to keep his head above water and was employing a manager to run them on a day to day basis. In November 1847, he was elected Town Clerk but this was merely a stopgap measure for solicitor Thomas Baker Bass quickly succeeded him. law Edward Knocker later succeeded Bass, but by then, Elizabeth had died. Because of the nature of the seeds that were processed, the season usually began in mid August and in 1853 large shipment arrived. Just before midnight on Sunday 14 August that year, the fires were lit for the large volume of work that was to begin the following day – Monday. Probably the result of spontaneous combustion there was a catastrophic fire and according to contemporary reports, everyone in the town came out to fight it. A later insurance account gives us an idea of the size and contents of the mills. The manager was engineer James Robson and his house was within the oil mill yard. By this time the mills were four storeys high plus caves within the cliffs. They included a refinery, furnaces, boilers, tanks, vaults, smithies, kilns, offices, stables, smith’s shop, coal and coking caves, a weigh bridge and a tall chimney said to emerge ‘from a slope in the cliff and reaching nearly to its summit’ of the Western Heights. 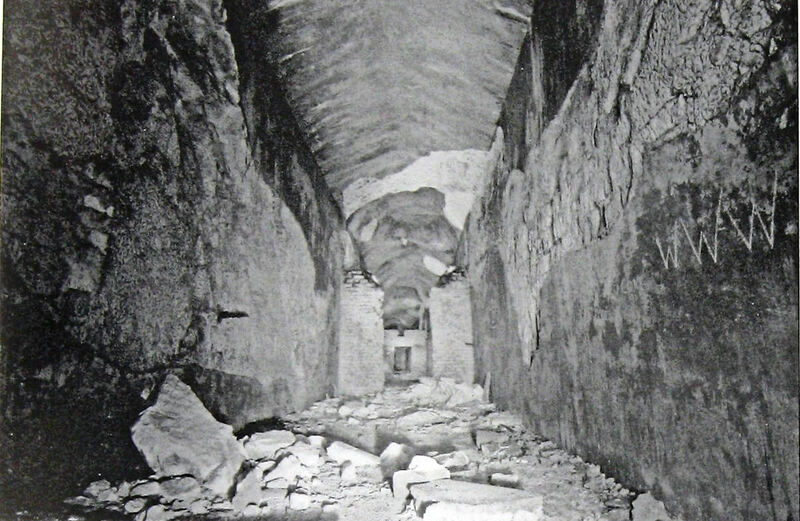 In the engine room, situated in a vault, 80 feet (24.4 metres) inside one of the caves, was a pair of 25 horsepower engines and a second pair of a similar power. They were connected by a shaft and were used for grinding the seed. The pumps were connected to the West Dover Waterworks, which was capable of supplying 1,000 gallons of water per minute. There was also hydraulic presses weighing 50-tons each and capable of 1,600-tons pressure – quite significant at that time. The damage was estimated at £50,000 for the oil mills and a further £25,000 for damage or destruction to properties nearby. All the employees lost their jobs together with those either who worked for the other businesses destroyed by the fire or whose line of work directly depended on the oil mills, workers other businesses. None received compensation and for the workers there was little chance of alternative employment. The catastrophe hit Dover’s economy hard but from the insurance Robert managed to rebuild the oil mills. These were of a much larger scale and included fire prevention facilities that were the first in Dover. Meanwhile, an Act of 1853 had led to formation of the East Kent Railway, (EKR) and on 22 July 1861 the company, having successfully changed their name to the London Chatham and Dover Railway (LCDR), opened the line from London to Dover Priory. 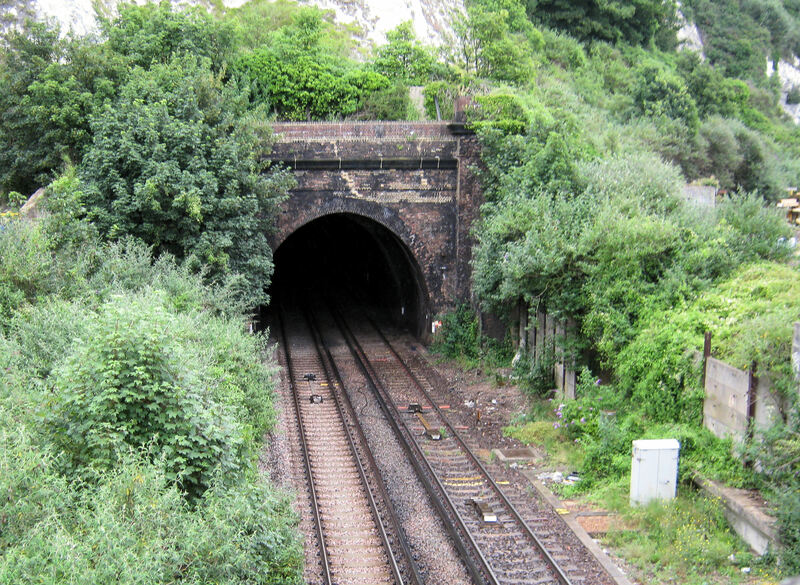 They were also excavating the 684-yard (626-metre) tunnel from the Priory Station to the harbour where they had built the Harbour Station. The proposed Line cut through the land and caves owned by Robert for which he accepted compensation. He then sold the land east of the track to the Railway Company and on this site they eventually built their Bonded warehouse. 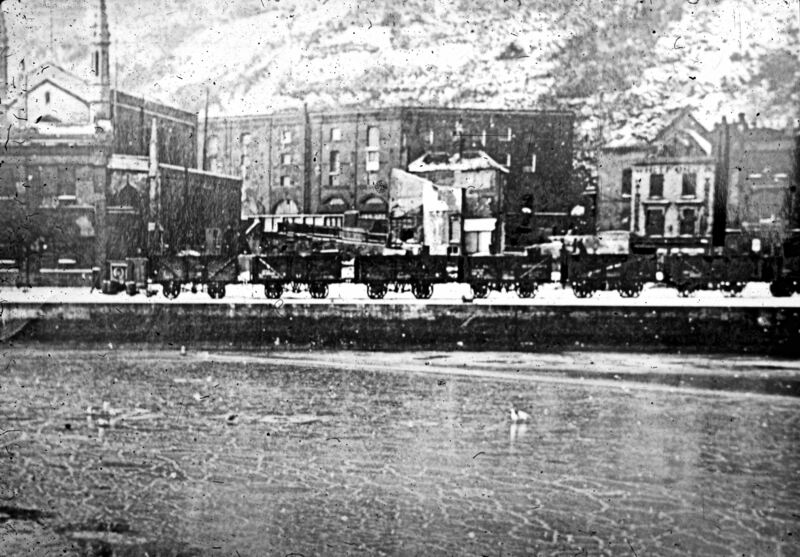 Oil Mills after the building of the railway line. The size of the oil mills was reduced with the output of seed cakes about 45-tons every 24-hours. The business was put on the market and purchased by William Blewitt from Rainham, Essex. Not long after the mills came into the hands of the large Oil Seed Crushing Company, the chairman of which was R Hesketh Jones. This entry was posted in Businesses, Oil Mills - Part I. Bookmark the permalink.